Miriam Calleja interviews Geoff Nelderabout Xagħra’s Revenge, a fictional account of the mass abduction of Gozitans by 16th century corsairs, ahead of the author’s book-signing in Malta. Have you ever wondered what happened to the Gozitans in the 16th century depopulation by the Turkish corsairs? How many of them ended up as slaves, how many in a harem? Did any of them seek revenge? Geoff Nelder, the author of Xagħra’s Revenge (published by Solstice Publishing in July 2017) explores these questions and comes up with a historical fiction that might just sound too close to the truth. What would happen if the descendants of the captives and the pirates were to meet today? Nelder has one wife (as he likes to point out), two grown-up children, a handful of grandchildren, and lives in rural England within easy cycle ride of the Welsh mountains. So why is he writing a novel based on the Ottoman’s capture of virtually all of the Gozitans prior to the Great Siege? From getting the initial idea (or the moment of curiosity) to starting to write, to finish-ing the first draft of your novel – how much time did this involve? It took me three years to finish the first draft of Xagħra’s Revenge. In brief, I heard about the mass abduction and didn’t believe it. I came back to Malta to talk to historians and badger librarians, buy history books. I started to believe it. I pestered writer friends who lived in Gozo and Malta and forced them to take me to ‘hidden’ places. I wanted to see the story from the point of view of the Turkish buccaneers too, so I visited museums and libraries in Turkish Cyprus, where I fell over Ninan Pasha’s stone crypt in Kyrenia! My eyes filled with the discovery of being so close to the bones of an actual person in my story. In your literary pilgrimages to Gozo, did you encounter any characters that actually inspired the ones in your book? I hope she doesn’t mind this, but one of the librarians in Valletta’s Melitensia Library shone in that otherwise gloomy place. Her passion for the ancient documents inspired visiting school children and me, so her character is employed in the same job in the book. Under a different name, but it’s the same person. There is a ‘Joey’, who is a taxi driver in Malta who took me everywhere, even places he shouldn’t. If he recognises himself, that’s fine! Of course, not all Australians who pop up on the island are the jovial but evil men I portray, but the tall dressed-in-black women who are aloof until their hearts soften, are real enough, are they not? Were there moments when you felt spooked out by your own discoveries, or scared that you might uncover something you shouldn’t? In Victoria, the multimedia show revealed the depopulation of Gozo in one day by pirates. 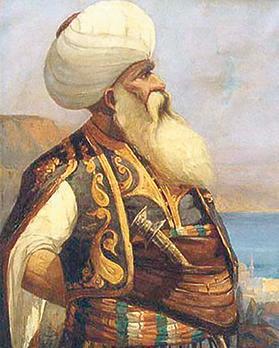 The leader, Dragut, had his own revenge for the Governor not returning the body of his brother. An icy chill crept up and down my spine. Then I was spooked in a warm way when I first touched the Ġgantija rock structures. I’d laughed at the guide book descriptions of Ġgantija, which called the temples a ‘living’ rock. I experienced a buzz from those megalithic blocks. It was as if the spirits inside were telling me to write the story of its people, and so I did. I also did that childish trick those of us with imaginations do – which is to find a ledge and touch, or stand in such a way that no one has likely done that since its construction. Also, it was only by chance that I discovered the bomb shelter under Xagħra’s parish church square. A small crowd was disappearing down a hole near the church steps. I didn’t see them emerge. Was it a portal to another world? Or a link to one of the many cellar caves in the town? I’d been down Ninu’s Grotto and a neighbour told me of two others. I knocked on the door of one of them. The ancient crone that answered didn’t speak English, but after furtive glances in the street and after grabbing my €20, she ushered me in and down, down, down to the cave. There were no lights, no steps, just cobwebs and musty smells. I told her I would return with a lamp. I’ve yet to do that. The square subterranean tunnel also took visitors and I followed others down into an illuminated bomb shelter. I suspect the soft limestone is home to many such holes, even in medieval days, but when I suggested this, the guide shook his head so furiously that he was in danger of transposing his ears for his nose. Why would he be in denial? Gozo has been under threat from invaders for millennia, and the rock so easily offers a subterranean panic room. There must be more to discover, but some locals aren’t keen. 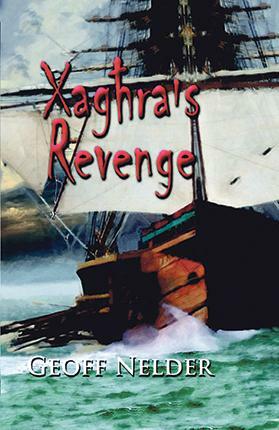 Xagħra’s Revenge is available online via Amazon. The author will be holding a book signing at the Preluna Hotel, Sliema, on April 7.